They have little interaction with the patient other than on the day that they undergo the surgical procedure in question. In addition to this they work closely with the surgical team to enhance the care of the patient, and they serve as a liaison between that team and the patient’s family regarding important information about the patient’s condition. 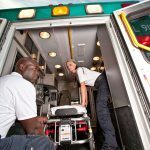 There are a number of roles and responsibilities that are characteristic of this specialty. On the day of the surgery, for example, it is the role of the PeriOperative nurse to interview and assess patients in order to ensure that all information regarding their condition is gathered and that they are, in fact, in a suitable condition for undergoing surgery. 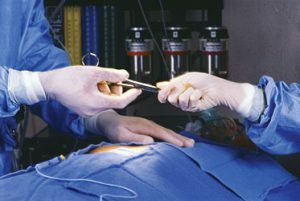 During surgery, it is also the responsibility of the PeriOperative nurse to monitor the well being of the patient and coordinate the activities in the operating room. 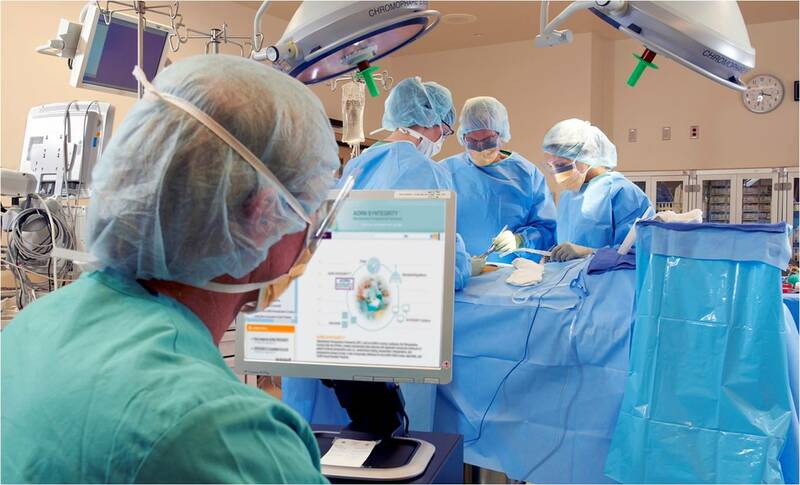 Sterility in the operating room is essential in order to prevent the risk of infection. Consequently, it is the role of the PeriOperative nurse to ensure that a sterile environment is maintained throughout the surgical procedure. Last, but not least, PeriOperative nursing involves providing patients with recovery tips that they can use once they have returned to their homes. Hospitals and freestanding surgery centers administer surgery on a daily basis, and it is therefore obvious that many PeriOperative nurses would be employed in these particular settings. 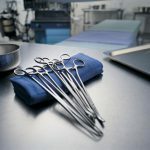 In addition, however, it is interesting to note that several small surgical procedures can be performed in physician’s offices, and so there is a chance that you can seek employment in these settings as well. Physician’s offices tend to be less intense than operating rooms in terms of the work environment that you will need to endure. Generally speaking, in order to become a PeriOperative nurse through a PeriOperative nursing program you must have a Bachelor of Science in Nursing or a Master of Science in nursing degree prior to enrollment. Perioperative nursing courses are usually in the form of certificates or post-graduate fellowships, and are therefore considered to be advanced educational options. Note: competition for places in schools offering PeriOperative qualifications is high. Consequently it is in your best interests to also gain as much experience as possible as an RN in an acute care setting, as well as to get recommendations from your teachers as this will improve your chances of being admitted to the program of your choice. In order to be a PeriOperative nurse you must possess an RN license. This involves completing an RN training program. As you need a bachelor’s degree to enter a PeriOperative training program, this would be the best program type to complete. Once you have successfully completed the program by meeting all of the course requirements, you must apply for licensure through your State Board of Nursing. On receiving confirmation of your eligibility to become licensed, set an exam date with Pearson VUE, the examining agency that administers national nursing licensing exams. Passing the exam will allow you to become licensed, and your State Board will let you know within a few months of the exam whether or not your application was successful. Depending on the rules of your particular state, your license may need to be renewed at set intervals. When selecting a school through which to complete either your undergraduate nursing degree or your postgraduate PeriOperative nursing training, you have to ensure that the program enroll in is accredited. The two accrediting agencies that do this are the National League for Nursing Accrediting Commission (NLNAC) and the Commission on Collegiate Nursing Education (CCNE). Although the school itself should provide you with information regarding its accreditation status, it is always better to double check its credentials just to be safe. The accrediting agencies, as well as your State Board of Nursing, can provide you with information regarding a particular school’s accreditation status. The only license you need for this specialty is an RN license, but you will need to become certified by passing the Certified Nurse Operating Room (CNOR) certification exam through the Association of Perioperative Nurses (AORN). There are a number of continuing education courses that can be used in order to prepare for this examination. In addition, there are a number of online revision options available. 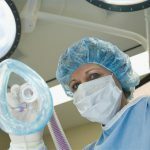 The Association of PeriOperative Registered Nurses (AORN), as one example, offers Periop 101 online course for first-time licensees, this process involves completing online coursework as well as meeting face-to-face with a lecturer who will provide you with guidance for studying for the necessary certification exam. As you will be required to work independently and to motivate yourself, this is not a suitable method of education for any students who require guidance in order to successfully complete a program. The job outlook for this career is excellent. The RN profession in general is one where we expect to see significant growth through 2020, and RNs with special skills are in an even better position as they can benefit from general nursing employment opportunities as well as from specialized positions. 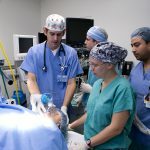 With additional education there are also a number of advanced careers that a nurse with PeriOperative training may consider pursuing, including becoming operating room directors, managers, nurse anesthetists, certified RN First Assistants, clinical educators, or researchers. There are a number of factors involved in the exact salary that you are eligible to earn as a PeriOperative nurse. For one thing, PeriOperative nursing salaries are usually listed as being the same as registered nursing salaries. The average national salary for registered nurses is about $65,950 a year at the moment. The 25th percentile earns up to $53,770 per year, while the 75th percentile earns $80,390 or higher, so there are significant differences in the specific amount that you will be eligible for. The size of the facility you work in will also affect your salary: $64,900 is a good estimate for PeriOperative staff nurses in small facilities (fewer than 10 operating rooms), and $69,600 seems to be a good guess for nurses in facilities with more than 10 operating rooms. There is also room for advancement in this career. An RN First Assistant, who acts as lead nurse during surgery, can earn $73,200 per year in a small facility or $77,700 in a larger facility, while nursing supervisors earn an average of between $79,900 and $84,900 depending on the size of the institution. Directors and assistant directors of nursing earn an average of $95,200 in small institutions and $127,800 in large ones. Perioperative nurses serving as educational faculty in schools or teaching hospitals average $77,400 in small facilities, and $79,100 in larger ones. As surgical procedures become increasingly more advanced, there is a parallel increase in the number of nursing professionals needed who are skilled in PeriOperative care. The profession offers a number of career advancement opportunities for ambitious nurses, making it a very popular specialty to pursue. However, it is an intensive job as surgical procedures do not always go according to plan. It is also important to take the long hours into consideration when looking at this specialty as a possible way forward for you in your career. The type of school you select once you have decided that this is the line of work for you will also affect the rest of your career as some schools are looked on more favorably than others.